UN Ambassador Nikki Haley recently witnessed the desperate destitution of Venezuelans firsthand as she watched one million people trek across the border into Columbia to obtain the only meal they that would eat during the day. “I was on the Venezuelan border about a month ago and I saw, literally, a million people cross that border every day for their only meal,” Haley explained, noting that there were “people bringing their last possessions to sell in Columbia just to buy food. And this is all because of failed socialism that led to corruption, a dictatorship and poverty. Inflation is about to hit the one million percent mark there,” she noted. She also said the regime steals aid money: “The hard part is Maduro will not take any foreign assistance or foreign aid and the aid that his government does accept in, they’re stealing and skimming off the people,” she said. 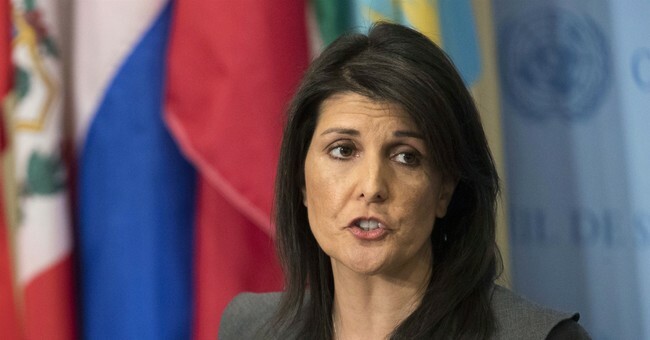 The interview covered a variety of world issues and on the topic of Palestinians Haley said: “all they have done is: had their hand out asking for money, badmouth the United States, not come to the table on the peace deal. Why would we have a PLO office? Why would we continue to fund the Palestinians?” She said that while the US will continue to promote the peace deal the onus is on the Palestinians to engage in peace negotiations.